The flight is the latest concrete sign of a thaw between the neighbouring countries which began only six weeks ago. The first commercial flight to Eritrea in two decades departed Wednesday from Addis Ababa after the two nations ended their bitter conflict in a whirlwind peace process. Ethiopian Airlines said that flight ET0312 to Asmara had departed Bole International Airport, the latest concrete sign of a thaw between the neighbouring countries which began only six weeks ago. 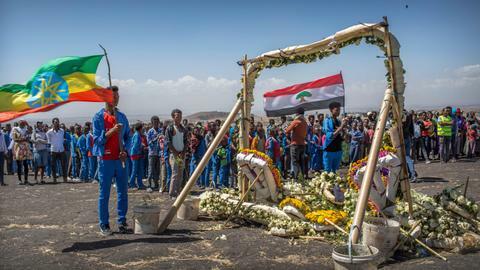 "This day marks a unique event in the history of Ethiopia and Eritrea," the airline's chief executive Tewolde GebreMariam said at a ceremony inaugurating the historic flight. Overwhelming demand saw the African aviation giant operate two flights within 15 minutes of each other. "The fact that we are taking two flights at a time shows the eagerness of the people," said Tewolde. An AFP journalist onboard the second flight said champagne was served to passengers in all classes, who toasted each other shortly before take-off. Smiling flight attendants also handed out roses to the passengers. Ethiopian Airlines, one of Africa's fastest-growing carriers, has said it would initially operate a once-a-day return flight between Addis Ababa and Asmara. 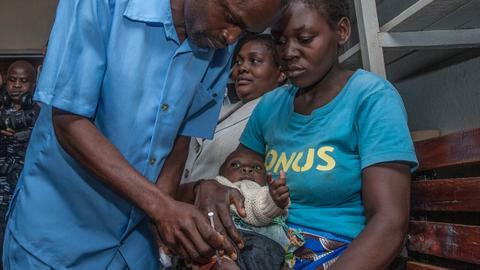 "With the demand we are witnessing, I think we're going to increase the frequency to twice a day, thrice a day and even more," said Tewolde. He said the opening of the Eritrean airspace to Ethiopian Airlines would also mean more efficient routes to the Middle East. Among the passengers on the first flight was former prime minister Hailemariam Desalegn, whose shock resignation in February was the first step in a series of shake-ups in Ethiopian politics and the Horn of Africa at large. 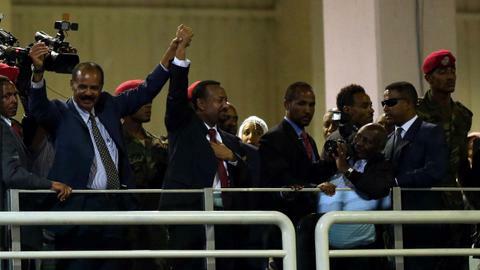 "I knew one day it would happen," Hailemariam said of the peace with Eritrea. Hailemariam was succeeded in April by Prime Minister Abiy Ahmed, a 42-year-old former army officer and cabinet minister described by analysts as a "man in an extreme hurry". 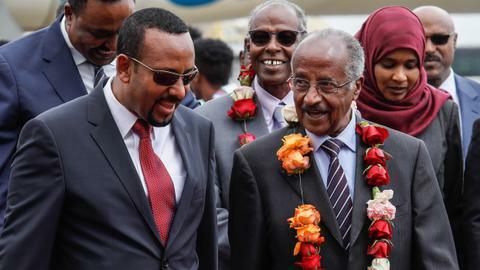 After announcing the liberalisation of parts of the Ethiopian economy and releasing jailed dissidents, Abiy last month declared his intention to make peace with Eritrea after two decades of frozen relations. Eritrea was once part of Ethiopia and comprised its entire coastline on the Red Sea until it seceded in 1993 after decades of bloody conflict. Abiy stunned observers with his announcement he would finally accept a 2002 United Nations-backed border demarcation. However he has yet to announce a pull out of troops. He then paid a historic visit to Eritrea, during which he and President Isaias Afwerki declared an official end to the war. Isaias reciprocated with a state visit to Ethiopia just days later. The emotion-filled reunion has been welcomed by Ethiopians, who share strong cultural ties with Eritreans, and many of whom were completely cut off from family during the long years of enmity. On Monday Isaias re-opened Eritrea's embassy in Addis Ababa. The rapprochement is expected to provide an economic boost to both nations, offering booming Ethiopia – which currently channels its trade through Djiboutian ports – access to Eritrean shores. Meanwhile Amnesty International has said the newfound peace should be a catalyst for change in Eritrea, one of the world's most isolated nations. Since the end of the war, Isaias has used the threat of Ethiopian aggression to justify a rash of repressive policies, including an indefinite national service programme the UN has likened to slavery.